Many people these days have had some introduction to a range of mindfulness and meditation practices. 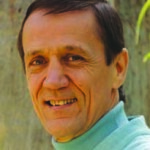 Ian Gawler has learnt from many of the world’s great meditation teachers and has been teaching meditation since 1981. Ian is the author of several international bestselling books including Meditation – an Indepth Guide and The Mind that Changes Everything. He has introduced meditation to many thousands of people and led meditation retreats for decades. This day provides the opportunity for you to learn directly from a world authority, to meditate with the benefit of Ian’s guidance and presence, to have your practice questions clarified and to enter into a deeper, more profound experience of meditation. Ian says this is A Relaxing, Regenerative Meditation Intensive – Designed for experienced meditators, but definitely open to those newer to meditation. FEE: $125 ($90 concession). PLEASE BOOK. Bring your own lunch and a notebook. Morning and afternoon teas provided. PLEASE NOTE: Arrival time 9.30am for prompt 10am start. Ian’s Books and CDs will be available on the day.